Independence is extremely important for virtually all people. Simply because you’re aging loved one is getting older doesn’t mean they’ve lost their desire for independence or more control over their own life. Many seniors struggle feeling as though they have lost their autonomy and no longer are able to live the lifestyle that is truly meaningful to them. As their family caregiver, helping your parent to maintain more of their independence and autonomy is a critical part of showing compassion and love, and giving them a quality of life they deserve. One of the most effective and accessible ways you can help your aging parent maintain your Independence is through elder care. It may seem strange to think of bringing another care provider into their life as a means of helping them maintain independence, but the completely customizable services of this type of care provider can it be instrumental in giving them back their control and making their life there’s again. A care provider can offer your loved one transportation so they are able to go where they need and want to go on their own schedule. Many elderly adults no longer drive, which can leave them having to work around your ability to give them a ride. The safe and reliable transportation of a care provider gives them back the power to determine when they go places, where they go, and how active and engaged they want to be. Struggles and limitations in mobility, energy levels, cognitive functioning, and more can make it more difficult for your aging parent to fulfill daily needs such as laundry, dishes, and tidying their home. if they have to rely on you to help them with these tasks, you may only have enough time to simply complete them yourself, leaving your parents disconnected from their daily life. 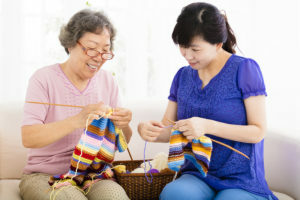 An elder care provider can take the time to break down daily tasks so your parent is able to take on aspects of them or spread them out throughout the day so they can handle more of them on their own. An elder home care services provider can help your aging parent with a wide variety of personal care tasks that enable them to feel more like themselves. This can include bathing, dressing, and grooming so they can feel their best. An elder home care services provider can be at one of the most valuable resources you have as a family caregiver for your aging parent. This type of care provider can step in when it is right for you and for your loved one at to fill care gaps, offer support and companionship, manage tasks that are too challenging for you, and also give you a schedule more flexibility. With elder care, you can experience less stress and be better able to focus your energy, attention, and resources on your senior as well as the other responsibilities in your life. If you or an aging loved one are considering Elder Care Services in Darby PA, please contact the caring staff at True Direct Home Health Care today.